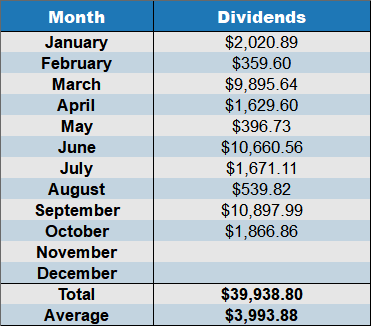 For the month of October, dividend income amounted to $1866. This is income entirely from passive sources (mostly stocks, preferred shares, and money market accounts). We do absolutely no work to receive this income. The checks literally just show-up in our account. IMHO passive income is the best kind of income. 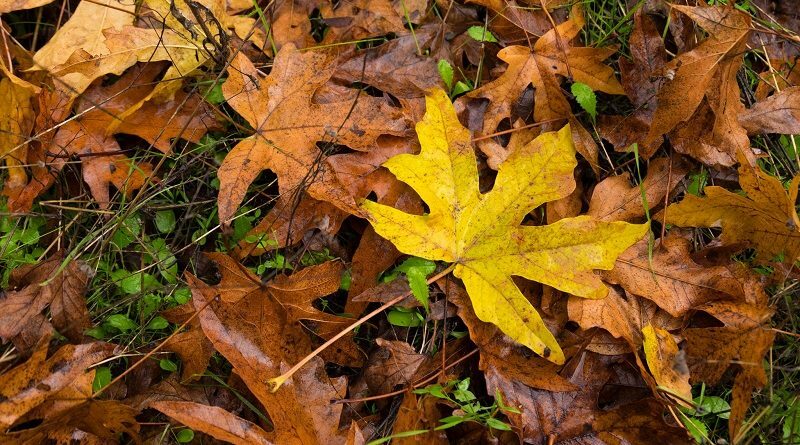 October in the Pacific Northwest means fall (aka the “wet and dark” part of the year here). This also means we’re spending a lot more time in-doors. Rather than spending our time in front of the television, the Tako family likes to play board games together. The only problem is that buying board games cost money, and we try to keep our entertainment expenses as frugal as possible. As with most other things in life, money is useful for solving problems if you’re lazy or unskilled. For the not-lazy and the skilled, a lack of money does not present a problem. Personally, I like to make board games rather than spend money. Some people would call it work, but I file it under the “Fun/Entertainment” category. Most people would simply throw these tiny pieces of wood in the trash. But I hate wasting anything, and felt these would make some perfect-sized game pieces. They’re almost exactly the same size as Scrabble tiles. 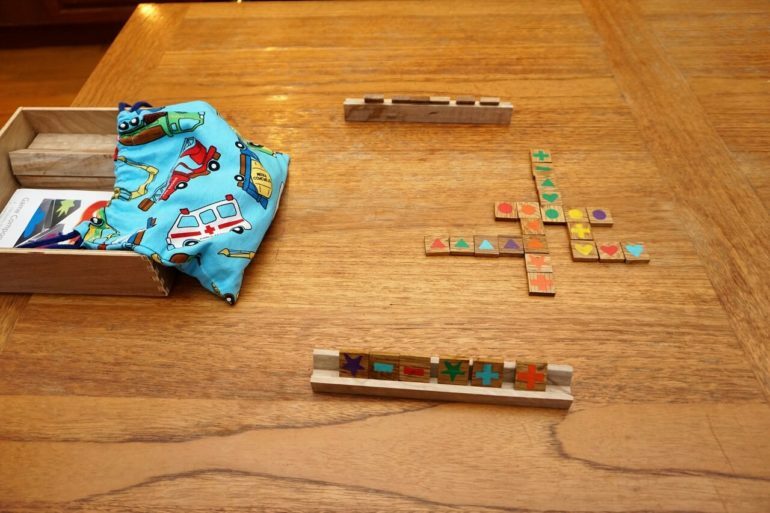 I wanted to do a version of Scrabble similar to the Rustic Scrabble edition, but our kids aren’t quite ready for Scrabble yet. So, we searched for a suitable family-friendly game title. Mrs. Tako and I settled on Qwirkle, and we spent a couple afternoons putting together our own Qwirkle set from leftover wood scraps. I think the homemade result turned out rather nice. Qwirkle is really a perfect board game for families. The rules are simple, a game takes about 30 minutes, no reading is required, and kids only need to know their shapes and how to count up to six. Our three-year-old can even play! Yet the strategy is deep enough that adults enjoy playing. In total there are 108 tiles, and 6 tile stands. I made the wood pieces and Mrs. Tako drew the figures using the paint pens we purchased this summer. Go team Tako! While I was at it, I put together a quick wooden box for the game. Again, this was made from materials that most people would consider garbage. The box turned out pretty nice despite being made from junk materials. The game is now a favorite around our household, and we play it nearly every weekend with the kids. Trash into treasure my friends! Despite our frugal efforts, October turned into a very expensive month. 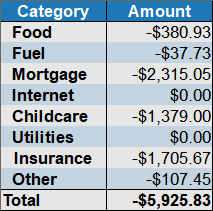 In total we spent $5,925 in October — a most un-frugal number I attribute to irregular expenses like insurance. Food expenses in October were $380. This includes groceries, toiletries, and the odd cleaning product. Surprisingly, our food costs have been lower than usual for the last few months. Typically we average around $500/month, but we’ve been under that for the last three months. The strange part is, I have no idea why! We’ve still been eating just as good and I’ve been serving up my usual scratch-made meals every night. Just look at this delicious food goodness! 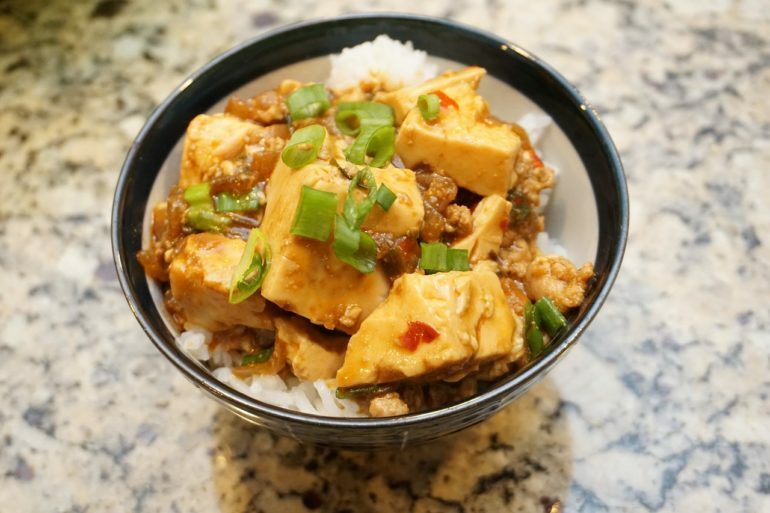 Let’s start with one of my favorites: Japanese-style mapo tofu! 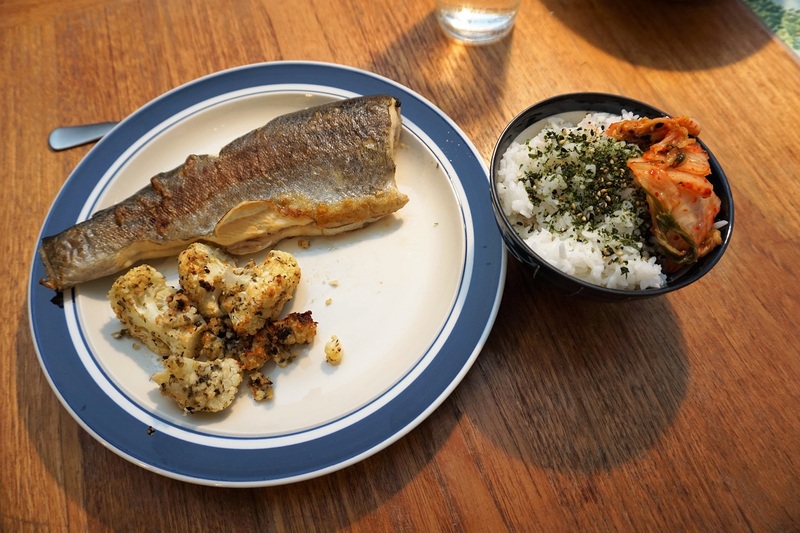 This is a big favorite around our house, as is pan-seared rainbow trout with garlic-parmesan roasted cauliflower, paired with furikake rice and kimchi. Not every meal is that fancy of course. 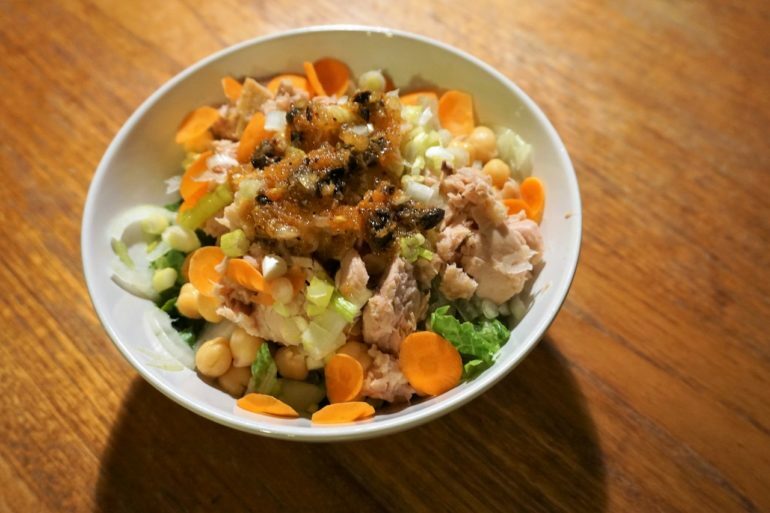 Sometimes dinner can be as simple as this tuna salad (which includes my homemade asian dressing recipe). 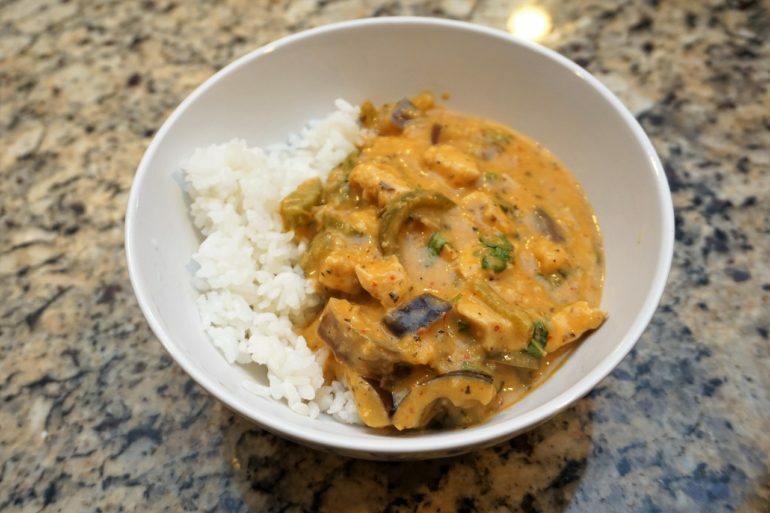 Some days I spend way too much time on Twitter and get inspired to make yummy meals like this Eggplant Thai Red Curry. 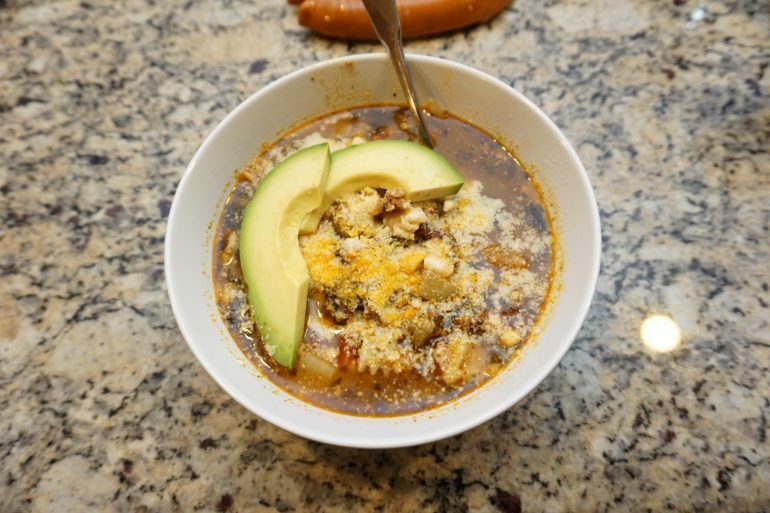 Since it’s winter, we’re also eating a lot more soups and stews. Italian sausage and bean soup is a family favorite — This recipe’s hearty and delicious flavor hits-the-spot on a cold fall evening. Some nights I just go with traditional “Western comfort food”. 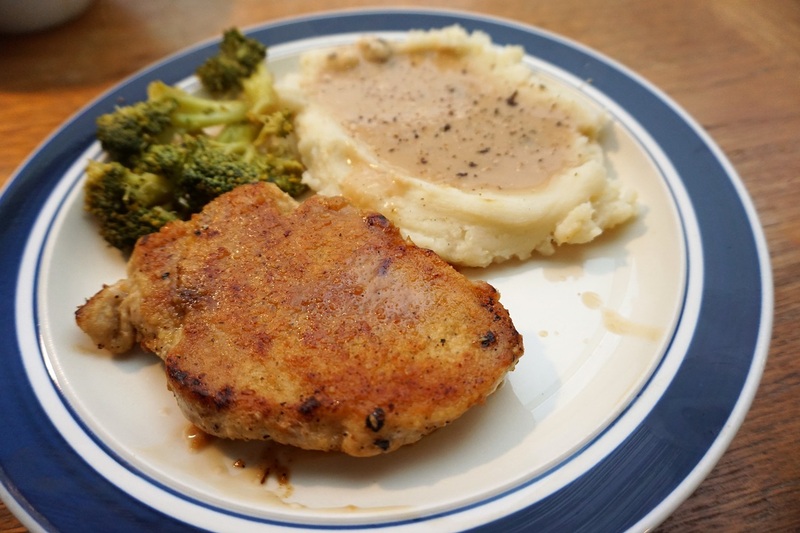 It’s easy to make and quite cheap, like this meal of pork chops and mashed potatoes & gravy (with steamed broccoli). As you can see, at $380 for the entire month we’ve just been starving ourselves to pinch a few pennies. Clearly, my family must be suffering trying to subsist on such low-grade sustenance. Our Fuel cost in October was unusually low at $37. This amounts to one fill-up for the month, and this was a very low-cost fuel month (even for us). We typically spend around $100-$120 per month in fuel. I’ve been doing a lot of walking instead of driving lately. Back in May we prepaid our internet expenses to achieve a credit card sign-up reward. Usually our monthly internet bill is $49.95, but we prepaid $500 toward the account giving us a big credit with our cable internet provider (Comcast). I expect to see our next internet bill in March 2019. As usual, our mortgage and childcare expenses are our largest expenses. Combined, they totaled $3694.05 in October. This was 62% of our monthly expenses. 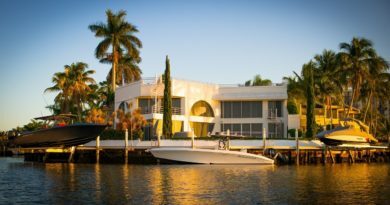 Unlike many families however, these expenses are entirely optional for us. Using our spare cash I could easily pay-off our mortgage, and I could take our youngest son (Tako Jr. #2) out of daycare. Those actions would completely eliminate these two expenses, but at the cost of opportunity — I would no longer have that spare cash to invest, no time to blog, and Tako Jr. #2 would be missing out on the opportunity to become fluent in a second language (he attends a language immersive daycare). For now, we prefer to have these expenses and the opportunities they bring. Our utility bills in October amounted to…. zero dollars! Yes, once again we had no utility bills to pay in October. Either we already paid the bi-monthly utility bills in September or the amounts were prepaid earlier in the year to get those sweet credit card sign-up points. Hurray for no utility bills! This year, our car insurance cost $1705, which was a little lower than last year. This amount is for two cars, neither of which are new. Hopefully our good driving record continues until next year and our insurance costs drops again in 2019. 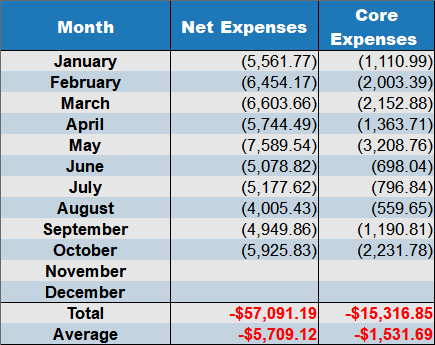 Our “Other” category expenses in October added-up to $107. This amount included a dinner-out (our first in months) with another couple. The restaurant was a local Texas BBQ joint. We decided to buy our friends dinner and the combined cost was $93. Frankly, the food wasn’t worth that. It was not good. The BBQ was super-dry and lacking in flavor — Absolutely nothing like the BBQ we had in Texas this spring. It was quite a disappointment. I honestly don’t know why we bother to eat out at all anymore. The only other expense in this category was a $14 field trip fee for Tako Jr. #1’s school. He did lots of “chores” around the house to help earn this field trip fee, so I have no qualms about paying it. For the year so far, the Tako family has spent $57,091. This sounds like a lot of money, and indeed it is. We live in a very high cost of living area. The PNW is not a cheap part of the country. We have two children, which is decidedly rare in the FIRE community. Believe it or not, this “big number” is nearly $4,000 less than what we spent last year at this time (2017). With any luck, we can maintain this level of lower spending for the remainder of the year. OK, so now for the section of the post everyone’s been waiting for! How exactly did our portfolio fare this crazy-volatile October? Not all that well to be honest. Like everyone else affected by the recent market volatility, our investments are down considerably. To make matters worse, we started buying DFS shares at the end of September and this activity continued into October (right before things headed south). We purchased 1200 shares of DFS mere days before the stock dropped by around 10%. Argh! This was very poor timing on my part, and I only have myself to blame for this “financial loss”…. except that I don’t really care. At all. As I’ve said in the past, we don’t purchase investments because we think the share price is going to “go up” next week. I can’t predict the future, and I certainly have no idea if the share price is going to rise next week or in the next couple of years. All that said, I do believe I can identify a business model that will be worth considerably more in 10 years as compounding works its eventual magic. In the case of our DFS shares, it could take 10 years or longer before Mr. Market finally agrees with my assessment, but I’m totally fine with that. In the meantime, I’m actually cheering for the market drops because we have a considerable cash pile that still needs investing. 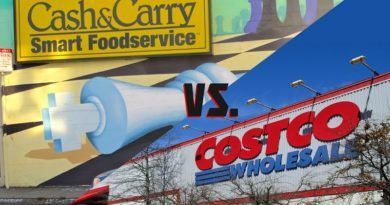 So bring on the lower prices! Always love your updates and learning a lot about your family and views. 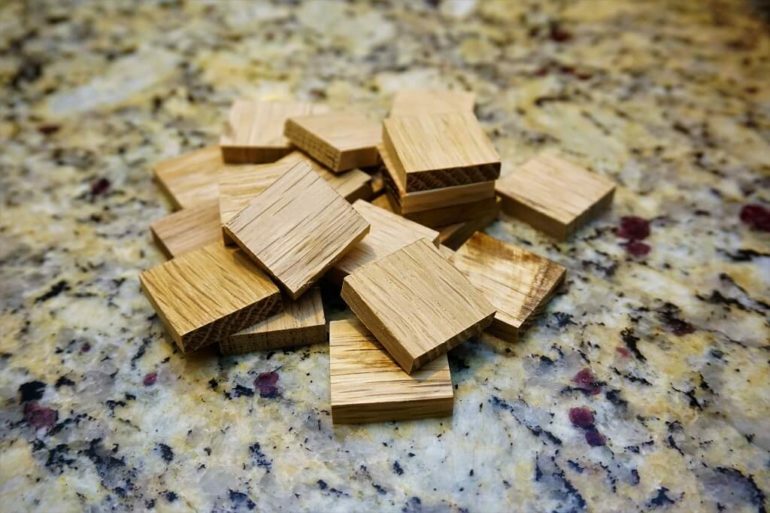 I love the resourcefulness of creating a board game, I too hate throwing things away but I wouldn’t be creative enough to think of something meaningful to create with those wood pieces! This is also the first time I’ve picked up on that you send your child to an other language immersive daycare. That’s awesome. I have completed the Duolingo German series and have sprinkled in some German words to my kids but it is essentially nothing. Do you speak the second language that your child is learning in daycare? Are they picking up on the language? Libraries are also a great source now for board games to check out. My wife and I just checked out a game and played it a few times and then returned it. Even cooler, the library stores it, not me! That’s cool! Our local library does not rent out board games, but I’ve seen a couple of game groups playing there. great month mr tako… Huge dividend income and super low fuel costs. I feel my fuel costs are insane. We live in the country and both drive half hr separate ways for work. Like you said you cant time the market. more drips! Libraries are also a great source of free board games now! 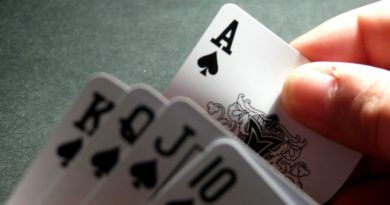 Just checked out a card game and played with my wife this week! I’m impressed once again with your woodworking and cooking. Great job. These are really great hobbies for an early retiree. You can make wonderful things when you have time. I will check DFS. 🙂 Thanks! Reading this post before I sleep is a bad, bad idea. In no way does the post title allude to having yummy food pics! I’m super impressed with the board game, that is def gonna be a keeper! Food pics are kinda par for the course in my monthly updates. Readers are always so shocked by how little we spend on food, I think it’s only fair to show them we eat pretty decent too! The kids are definitely enjoying the board game. I played with them twice today! This post has something for everyone! Love the resourcefulness of the board game and I’m definitely going to try that salad dressing. You keep showing pics of that yummy looking mapo tofu! Can you share the recipe, please? Nice healthy dividend income. I think you’re wrong in saying that you absolutely don’t do anything for the dividend income 🙂 You’ve already put in a lot of blood and sweat to earn the capital that’s now earning you dividend. Wishing everyone a recovery from the whiplash of Oct markets! I guess that’s another way to look at it! The initial capital took work, but everything now is gravy. Gravy on top of gravy, in fact! As usual, all your food pics make me hungry, Mr. Tako! 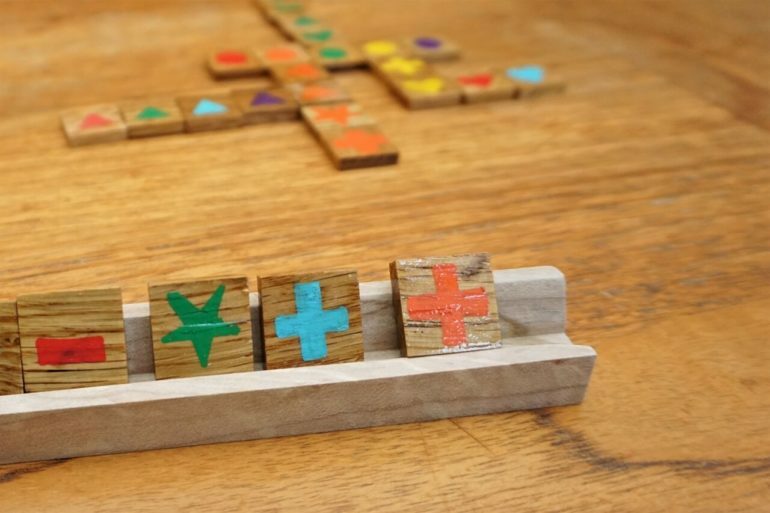 I also love the Qwirkle tiles! So cute and so good for the environment. Btw, if you’re looking for cheap ways to play board games, try online! You can play the “cashflow” game for free: https://www.richdad.com/apps-games/cashflow-classic. And Settler’s of Catan online is free two and only $5 if you want more than 3 players. We do this all the time with our friends via Skype. Those games are great, but a little old for our kids yet. The little guys actually prefer physical board games over computer games. There’s just something about drawing tiles, taking turns with family members, and physically putting down pieces that’s much more engaging for the little ones. It’s also nice that your utilities take credit cards. None of mine do without paying an extra fee or else I’d be all over that. Oh, I thought it was a usual thing! Some of ours used to charge a fee, but they seemed to have ended that when they moved to a new payment system. WOW! $380 in food spending is incredible! Nice work! I also added a little DFS in October. I also picked it up before the drop. I’m with you, oh well, not a big deal! Fantastic report, thank you for sharing! Great job on the board game, looks very nice! With my kids getting older, I have tried different games and activities to keep them around a little longer after diner. The latest one is puzzles! We started a 2,000 pieces last week and I manage to usually get at least one of them to stick around 🙂 (A challenge as they get older) It’s not expensive, you can exchange it with friends afterwards, or borrow from your local library. Great month and love the food pics.